You may be familiar with the allure of the sun-kissed beaches of the Canary Islands or the lush green landscapes of Madeira. These islands, situated just off the coast of northwestern Africa, have attracted visitors for decades and have become established holiday destinations. Look a little bit further into the Atlantic, however, and you will discover a new set of islands that are truly breath-taking and are have currently seen less of an effect from tourism. The nine islands that make up the Azores offer a truly unique experience and an unparalleled sense of escape. Almost equidistantly located from the Africa and America continents, you will rarely hear little more than the indigenous sounds of the island – which is a reward in itself. Many lines, including Fred. Olsen Cruise Lines, will take you to these islands with an array of fabulous itineraries to choose from. Other lines, such as P&O Cruises, will often dock in the Azores on-route towards the Caribbean. This week, we take a look at why the Azorean islands are so appealing and what you can expect to be able to see and do during your visit. 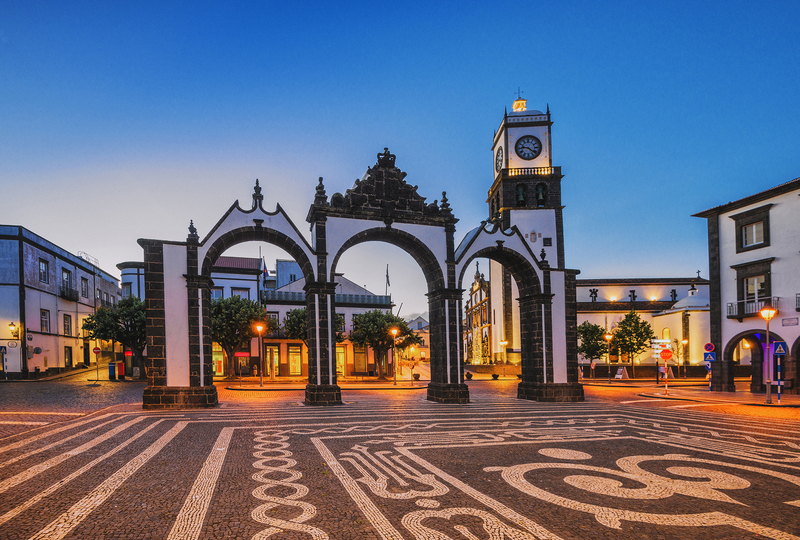 Ponta Delgada is the largest city of the Azores and is located on the island of Sao Miguel. Due to its size, it offers an ideal point of access to either explore the city itself or venture further out and is why many lines opt to dock here. If you decide to stay, you will be greeted by charming whitewashed houses, narrow streets and a glistening promenade. Particular highlights include the City Gates, Santana Palace, Antonio Borges Gardens and the Carlos Machado Museum. A short excursion out of the city will enable you to visit the impressive Furnas hot springs and a local tea factory. Alternatively, you can opt to head to a bar and sample a range of petiscos (Portuguese tapas), which can be washed down with locally-produced wine. Translated, Praia da Vitoria literally means Beach of the Victory, and you will certainly feel victorious upon arrival. Situated on Ilha Terceira, this beautiful sandy beach, on the east coast of the island, offers plenty of space to soak up the sun and relax. You can also opt to wander around the nearby marina or head into the town where you will find a series of popular retail outlets. If you can pull yourself away from the shops for a moment, you will also discover many impressive, colourful Holy-Ghost temples. Ilha do Faial may be one of the smaller islands of the Azores, but those who arrive are sufficiently rewarded in the city of Horta. A wander through the city streets will take you on a tour to a range of beautiful churches including Sao Salvador, Nossa Senhora das Angustias and Nossa Senhora do Como. If you head to the church of Nossa Senjora de Guia, you will be able to enjoy magnificent views over the churches and even see out as far as the towering Pico de Azores. It is also worth noting that Ilha do Faial is often referred to as the Blue Island and this will become clear if you venture outside of Horta. Glistening coastlines blend with lush green surroundings to create a truly distinctive feel. One of the most iconic highlights – and an absolute must-see during your time on the island – is the Caldeira do Faial, which outlines the volcanic history of the Azores. 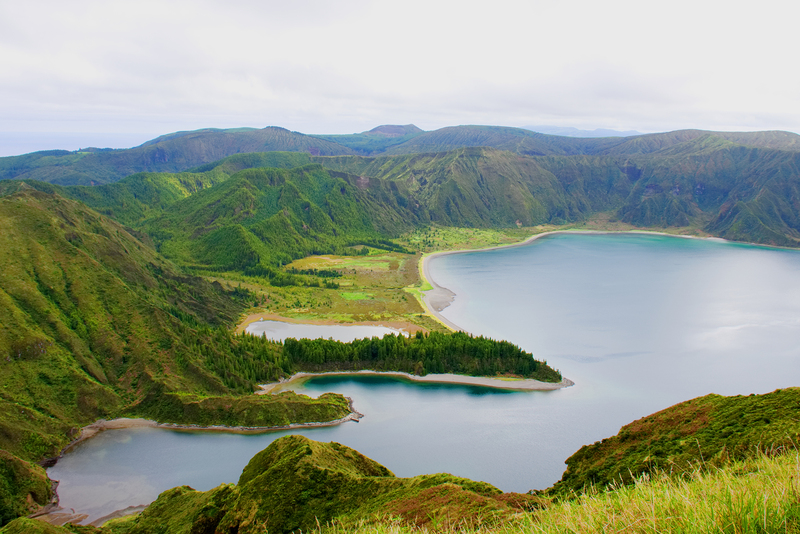 If this blog has inspired you to embark on a journey to the Azores, or to one of Europe’s many charming island groups such as the Canaries of the Greek Isles, why not get in touch? We are able dedicated to providing the best offers on cruises departing from ports around the UK. For more information, contact us via the freephone number above or complete the online enquiry form.